A few hours after Chris Hillier of Taylor, Mich. is recognized as a nominee for the Governor’s Fitness Award Thursday for Veteran of the Year, he will hit the trail on a hike of historic proportions. The award honors a military veteran who goes “above and beyond” to promote healthy lifestyles in Michigan. Hillier takes that beyond part to the extreme. A former medic of six years in the Army and a current cardiovascular technologist, Hillier said he has logged more than 6,000 miles of hiking since 2011 mostly across Michigan. The journey Hillier begins Friday takes him from Belle Isle in Southeast Michigan to Ironwood, a Western Upper Peninsula city sharing a border with Wisconsin. 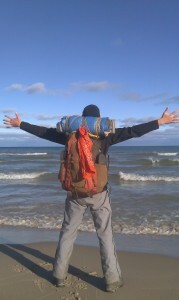 The 924-mile hike will make Hillier the first to take on the route proposed by Michigan Gov. Rick Snyder last November. The plan, to be funded by appropriations in part from the Natural Resource Trust Fund, connects existing pathways with new trails to showcase Michigan’s waterways, diverse forests, and unique animals. “My goal for this hike is to raise awareness of the breathtaking sights Michigan has to offer, while promoting active lifestyles for tourists and nearby residents of the trails,” said Hillier, nicknamed “Wolverine” by his fellow hikers. Like a scene out of the film Forrest Gump, Hillier said people sometimes join him during his long hikes. He will carry a smart phone to update his progress during a journey he estimates will take him 10 weeks to complete. 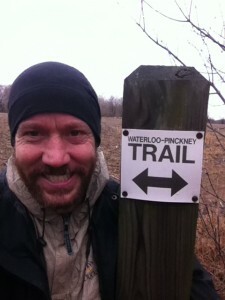 Readers can track his travels through Wolverine Hikes Michigan blog. The tool also allows Hillier to take a virtual tour of his path before he hits a trail segment. That may come in handy. Some parts of the proposed trail won’t be developed for another couple of years. Hillier said he’ll have to improvise by traveling part of the way on city streets. 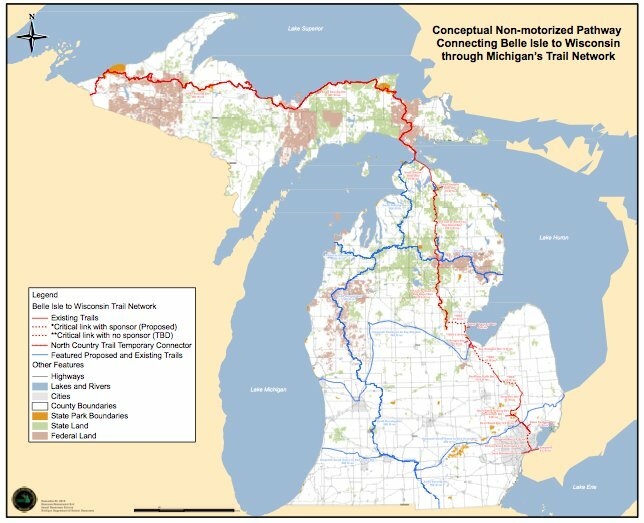 “The exact alignment of the whole trail is not yet known, we’re still waiting on funding and partners who donate for building of trails and connecting the current ones,” said Nancy Krupiarz, executive director of Michigan Trails & Greenways Alliance, a non-profit organization helping to create state trails. While Michigan is already a major destination for hiking and biking enthusiasts, Krupiarz said the newly proposed trail could cement the state as the number one trail state while boosting local economies. 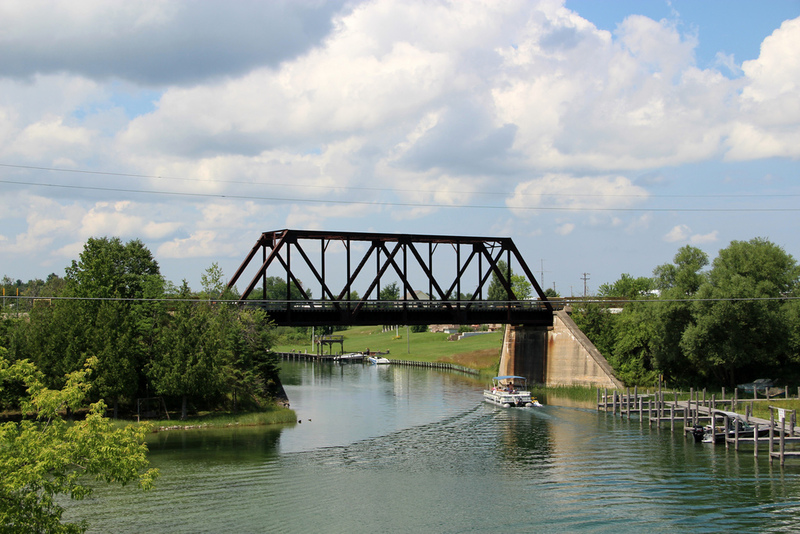 The 62-mile North Central State Trail, once the northernmost segment of the Michigan Central Railroad, will soon become a stretch on the signature trail. The newly resurfaced trail draws countless vacationers to Cheboygan, Mich. near the end of the North Central State. “It becomes bigger every year. Tourists who are looking for a more active lifestyle come from all around to see the natural beauty of the trails connecting to our town,” said Matthew Friday, executive director of the Chamber of Commerce in Cheboygan. State Department of Natural Resources officials have already begun working out details with the Michigan Trails & Greenways Alliance. A crucial detail is trail maintenance, which Krupiarz said might be done by non-profit volunteer groups or hiking enthusiasts. “The amount of maintenance needed for a trail this long is plenty and could range from anything to trash pick-up to repairing damage caused by rodents,” Krupiarz said. Already this spring, 7,300 hours of volunteer work were logged maintaining Belle Isle Park, the first stop on the proposed trail. It is located in the Detroit River along Michigan’s Canadian border. The island has made great progress through the Belle Isle Conservancy to furbish the park, preparing it for seven-and-a-half miles of trail, said managing steward Mebby Pearson. Hillier said he wants to bring attention to the volunteers working along the trail through a mention in his blog. When people ask him why he does so many miles for weeks at a time, Hiller says he just enjoys hiking. During his 10-week journey, he will return to his hometown May 18th to spend 24 consecutive hours walking in a Relay for Life to support the American Cancer Society. He plans to reach Ironwood by the end of July. Editor’s note: This story updated April 24, 2013 to correct governor’s award status and date of relay for life. I made it! I left Belle Isle on April 26th and arrived in Ironwood on July 18th. It was an amazing journey but way too much to tell here. Feel free to read about it at wolverinehikesmichigan dot blogspot dot com. Krupiarz from the Greenways group represents BIKERS only, so why doesn’t she get her friends to maintain this Pathway which primarily a Bike Pathway. The Greenways was near out of business as a Non-Profit group until they connected with our DNR, got into our funding and started this Bike Pathway thing. She has nothing to do with Hiking. NOTHING what so ever. This increased economy from the Bike Pathways is ONE BIG LIE!